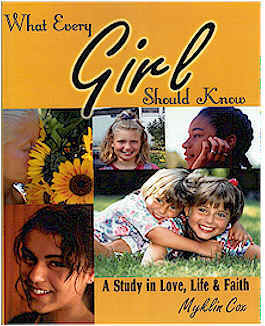 In What Every Girl Should Know: A Study In Love, Life & Faith, Myklin searches the Scriptures to determine what God has to say about friendships, role models and peer pressure. How can a girl become a true friend? What kind of people should she look up to? What are some easy ways she can reach out to other girls who need encouragement and friendship? These questions and more are answered in a personal and enjoyable way in this chapter of What Every Girl Should Know.